Wal-Mart's Disc Conversion: Is It Worth It? Wal-Mart wants you to pay up to $5 for a digital copy of your DVDs. Here's how to tell if it's really worth the price. NEW YORK (MainStreet) -- Last week Wal-Mart (WMT - Get Report) unveiled a service that allows people to haul in their old DVDs or Blu-ray discs and get an additional digital copy they can stream via select TVs and players -- but the service won't come cheap. If you have a DVD you want to watch in standard definition or a Blu-ray you want to watch in high definition, it will cost you $2 a disc. If you bring in a regular DVD but want your digital copy to play in high definition, that upgrade will cost you $5. So is the service worth the price? It depends on your situation. Here are a few criteria you should meet before you take your discs to Wal-Mart. Wal-Mart wants you to pay up to $5 for digital copies of your DVDs, meaning you can stream them from its Vudu service. For some, this is worth the price. This service will mainly be of interest to people with old DVDs that they want to bring into the digital age. DVD sales have declined in recent years, so it stands to reason most DVD collections consist primarily of older discs that people bought before switching over to digital distribution. Plus, many newer discs come with a code that allows you to download the digital copy of the movie anyway. Why does this matter? Well, many of those older movies are probably on Netflix ( NFLX - Get Report) anyway, so if you have an account, you shouldn't bother paying $2 and making a trip to Wal-Mart to convert a disc that you can already watch online. 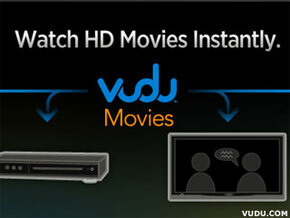 You have a Vudu-compatible device. The converted movies will be viewable via Wal-Mart's movie-rental service, Vudu, which has no monthly fees but charges for rentals . (In fact, Wal-Mart isn't actually converting your disc, but simply authenticating that you own it and giving you the ability to stream it digitally through Vudu's library.) But that means you'll want to make sure that whatever devices you use to watch streaming movies are actually compatible with that service. The good news is that the list is long and growing -- plenty of Internet-connected TVs and Blu-ray players support the service, as do video game systems such as the Xbox 360 and PlayStation 3. Of course, those are all home-based devices, and if you're at home you can just as easily watch your DVDs anyway (unless, of course, you're using the service to convert your DVDs to high definition). Portable options are more limited -- in addition to being able to use your laptop, you can also watch the movies on your iPad, but that's about it. And keep in mind that you'll need to have Internet access to watch the movies from the cloud, as the program does not allow you to download a copy of the movie to your computer or iPad. Finally, even if you do have a strong Internet connection on your iPad, you'll only be able to stream standard-definition content to it -- a Wal-Mart representative explains that the studios do not allow Vudu to stream HD content to portable devices. In other words, if you paid $5 to convert your old DVD into a high-definition digital copy with an eye toward watching it on your new iPad's Retina Display, you're out of luck. Keep in mind: It is possible to download converted movies to a PC or Mac; just not to the iPad or other mobile devices. You're not a big Disney fan. If your DVD collection consists mainly of Disney ( DIS - Get Report) movies, we have bad news for you: While five major movie studios have signed on to the program, Disney is notably absent. So if you bring in a stack of Disney DVDs, we're afraid the nice people at Wal-Mart won't be able to help you. The whole concept doesn't offend you. The good news is that if all you care about is having a digital copy of your DVDs to watch on your computer, you do have the option of downloading a program that lets you "rip" the movie onto your hard drive, with no trip to Wal-Mart or $2 fee necessary. But some discs will be copy-protected against this via digital-rights management technology, and even if you do manage to rip it and subsequently upload it to a third-party cloud service, streaming probably won't be as convenient as having it available through a service such as Vudu, which has built-in support on plenty of devices. So you can see the $2 cost as a convenience fee, of sorts. Just make sure the convenience that this service provides is actually worth your time and money.